Presents the viewer with a rare look into the nomadic like of Mongolian herdsman and their struggle to maintain their vanishing culture. The video is appropriate for educational use. 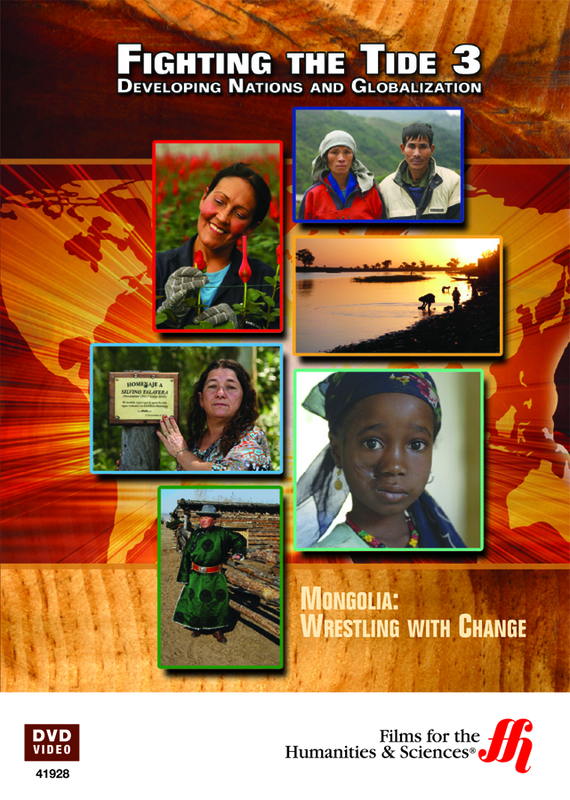 Mongolia: Wrestling With Change grants its audience a chance to experience the nomadic Mongolian peoples fight to save their way of life. Nomadic Mongolian herdsmen live in some of the most isolated places in the world (between Russia and China). However, both the pressures of a changing world and the Chinese government threaten their culture and their homeland. While the Mongolian nomads make continual attempts to evolve (such as carrying solar panels along with their gers - or round tents), they face forced relocation by the Chinese government into the capital city of Ulan Bator. The Chinese government are interested in turning the traditional lands of the Mongolians into intensive agricultural areas. In addition to the pressure from the Chinese government, the Mongolian nomads have to deal with mining companies moving into their resource rich land and leaving it toxic and unlivable.